We really enjoyed the house. It was perfect, nice to have a kitchen and laundry, everything was in excellent order and super clean. Acco met us on arrival, gave us ideas on local sites and restaurants, and even had nice fresh flowers in many of the rooms. Highly recommended. This place has everything a traveller needs, location, comfort and clean. Owner was very helpful and informative. Property is very welcoming, clean, and renter-friendly. It is also very quiet. We were sad to leave it. Kiyomizu-dera is a short walk up the hill (there is a much more quiet and peaceful path by Tsumyo-ji). The rest of the city can be reached through the bus stop less than five minutes from the property. Convenient location! Beautiful home. Professional host! We stayed for three nights and the apartment and it more than accommodated all our needs. 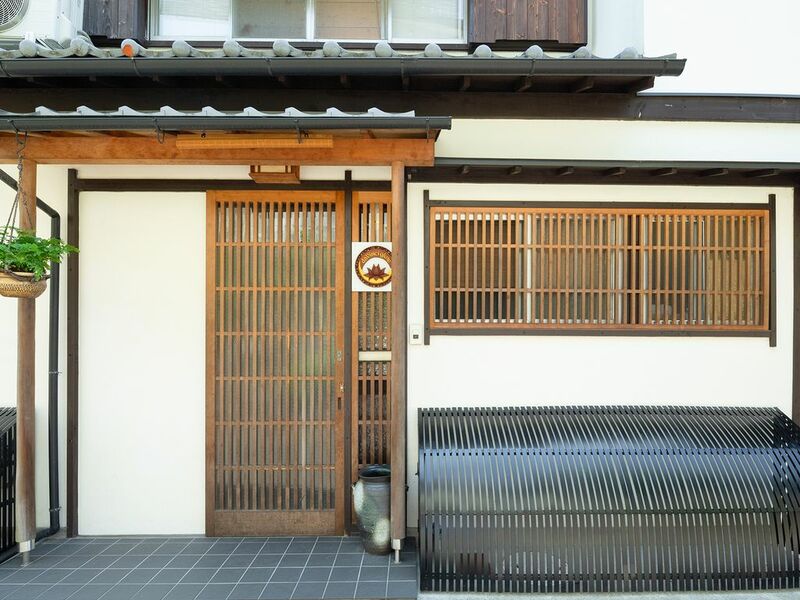 It’s very close to a famous shrine, about 15 minutes walking as well as walking distance to the Gion district. My only complaint about the house was the bed. Being from the United States, I’m not used to beds without conventional mattresses so it was a bit hard for my taste even though my host was extremely accommodating by offering to pad it with Futons. The host was professional and had plenty of maps and books on Kyoto ready for us when we arrived. The place was extremely clean and well-maintained. The hosts communication was superb and she offered many recommendations for local restaurants and places to visit. I highly recommend this apartment and this host if you are visiting Kyoto. My husband and two kids (5 yrs and 9 yrs) loved, loved our time here. Acco was our perfect host, welcoming us to the house. It really was perfect for us. It felt like a home away from home but of course more enchanting. A nice blend of Japanese and western style. So relaxing. Sensational kitchen and bathroom facilities. We enjoyed cooking with gas and having a hot bath every night. Close to shrines, shops, buses, restaurants. A perfect holiday experience for our first time in Kyoto. Thouroughly recommended.